On October 31, 2000, United Nations Security Council adopted Resolution 1325, a stepping-stone in ensuring that all states “take special measures to protect women and girls from gender-based violence.” In the past two decades, more resolutions followed along with more discussions around the gender-sensitive nature of armed conflicts and peacebuilding efforts. Although there is abundant agreement on the importance of gender analysis, challenges in implementing accountability for gender-based violence persist. Addressing the need for a constructive dialogue and recognition of transitional justice obstacles, Germany, Belgium, Dominican Republic, Equatorial Guinea, France, Kuwait, Peru, Poland, South Africa, and the United Kingdom co-hosted an Arria Formula meeting ”Accountability for Conflict-Related Sexual Violence as a Central Pillar for Prevention” on February 8, 2019. Chaired by Katarina Barley, Federal Minister of Justice and Consumer Protection of Germany, the meeting invited UN Member States to discuss the ways in which the Council can address impunity in the context of gender-based violence in conflict. 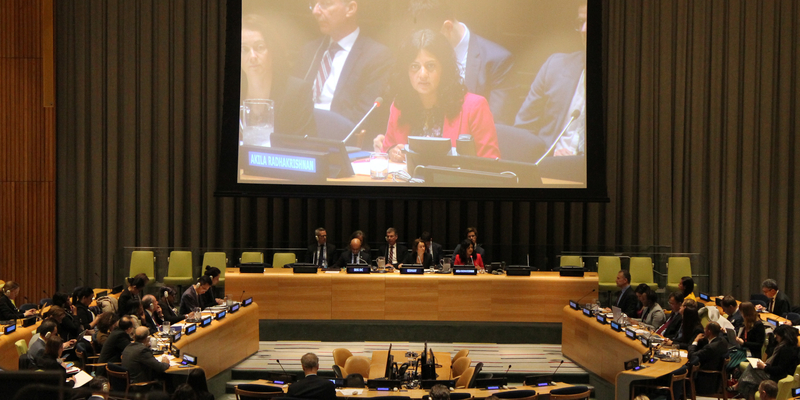 Since the International Criminal Court (ICC) is narrow in its jurisdictions, this Arria meeting is an example of how the Council endeavors to participate in the international discourse around justice and accountability for mass-atrocity crimes.